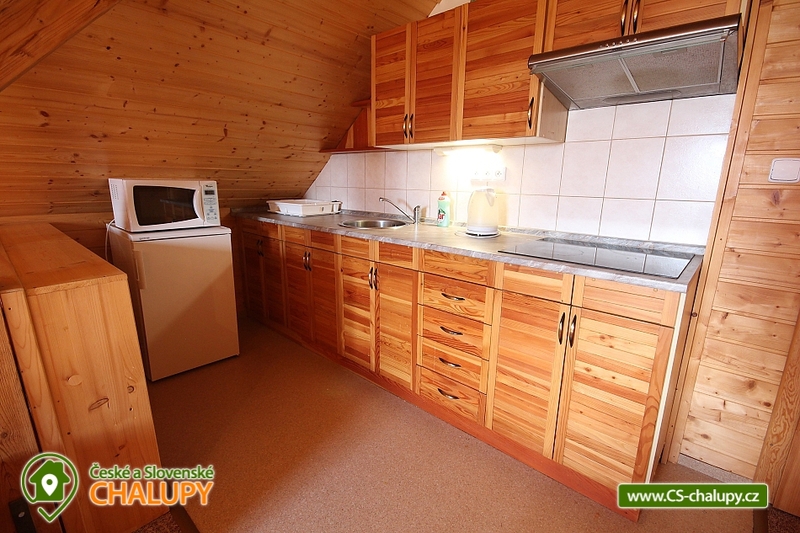 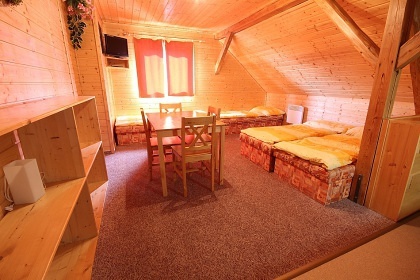 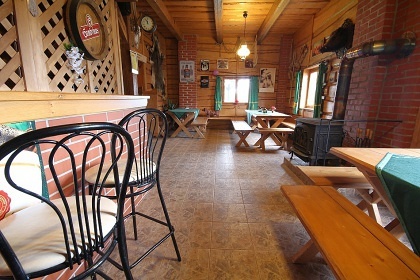 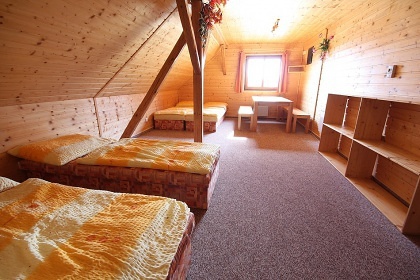 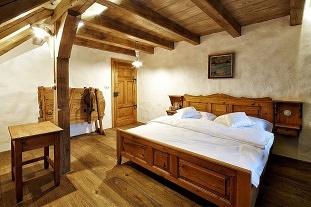 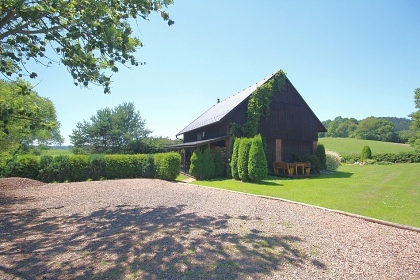 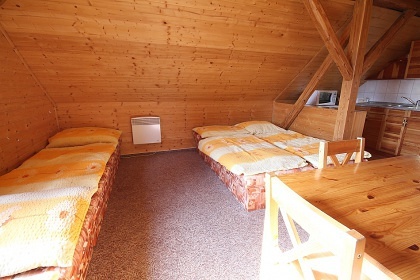 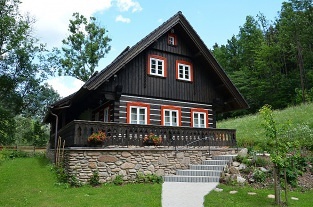 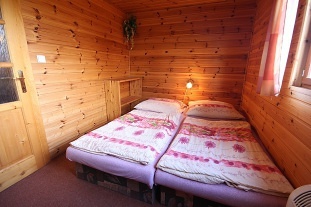 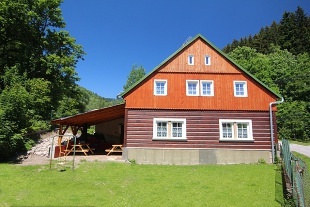 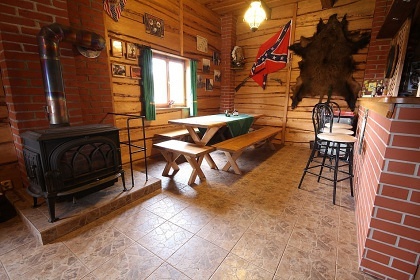 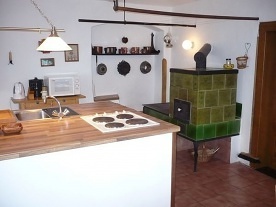 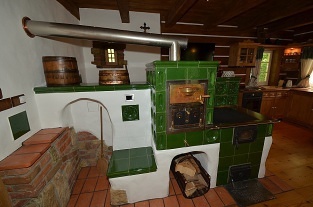 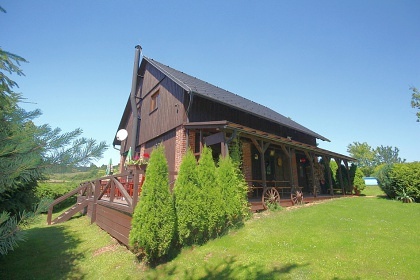 Cottage Western - Vlcice, Trutnov. 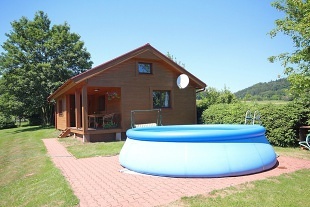 Accommodation Giant Mountains - cottage with swimming pool. 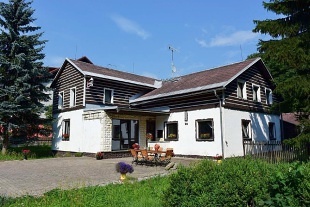 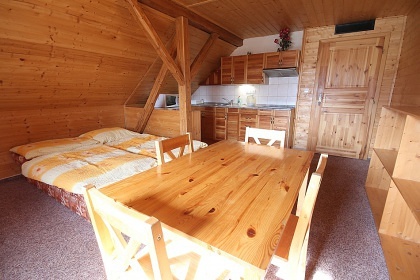 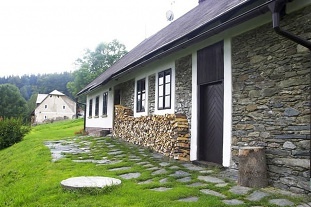 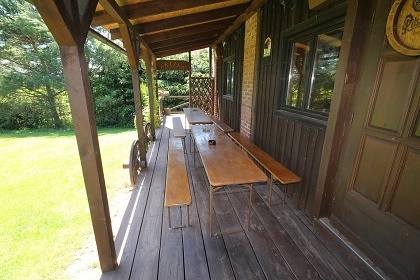 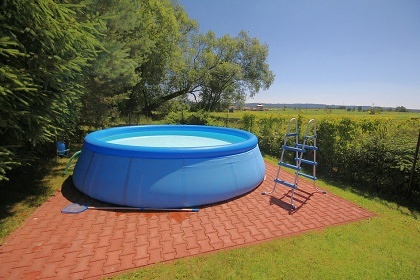 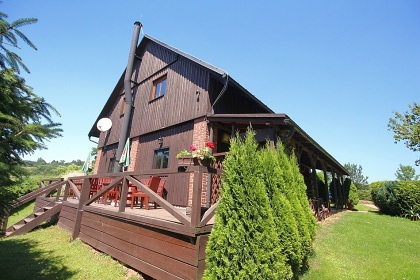 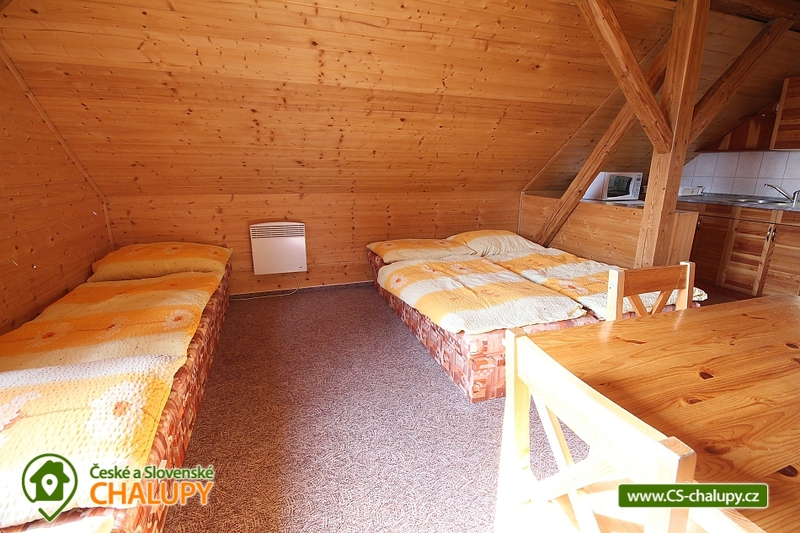 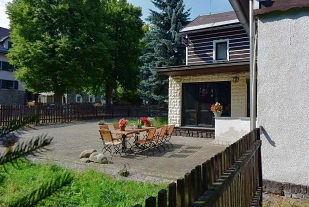 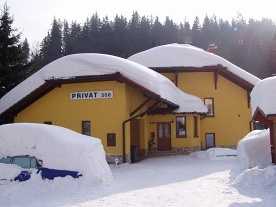 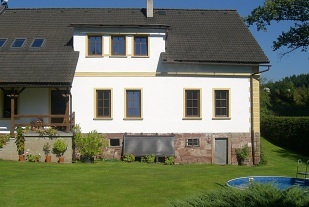 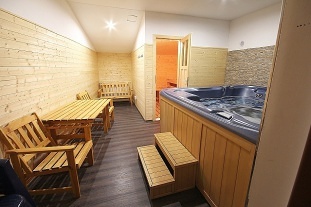 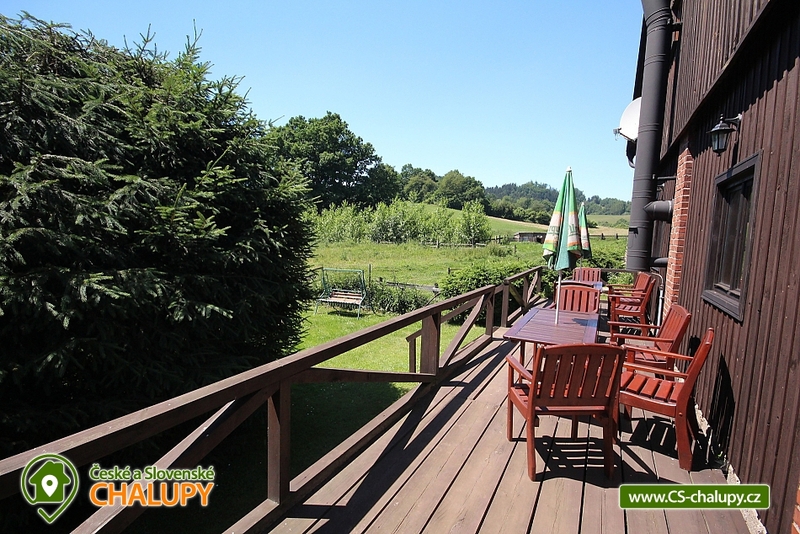 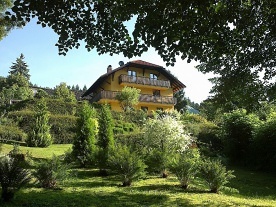 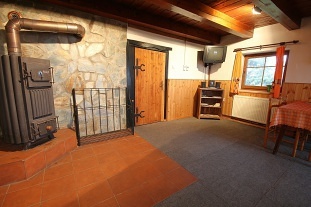 Rent cottages with swimming pool Vlčice near Trutnov. 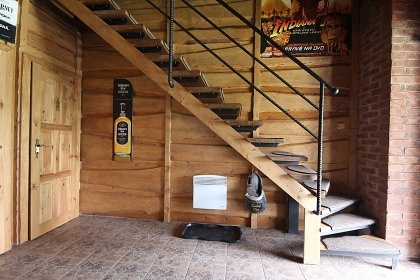 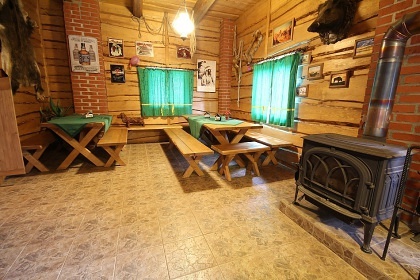 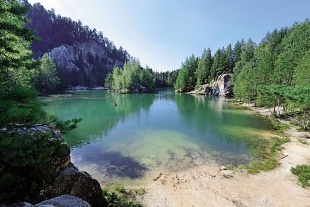 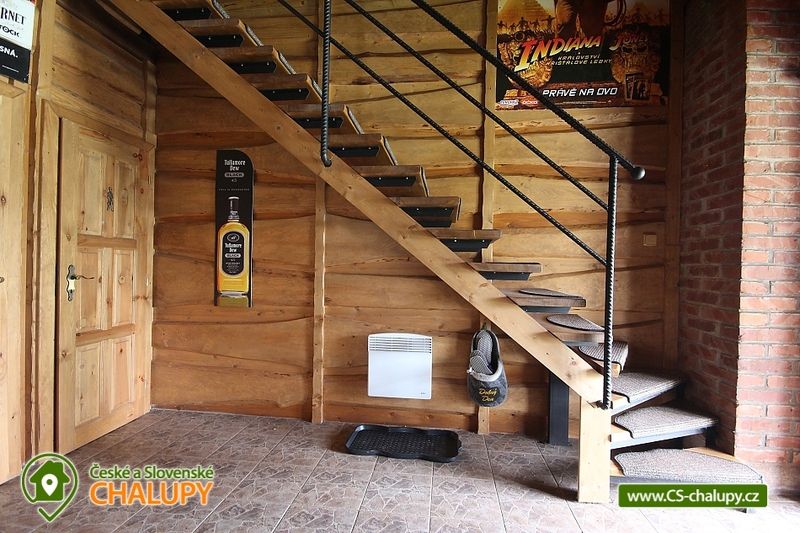 Cottage Western is located at the foot of the Giant Mountains, 8 km to Trutnov, 9 km to Janske Lazne and 18 km to Pec pod Snezkou. 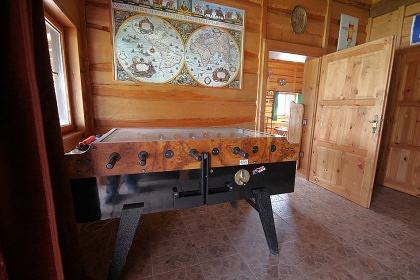 On the ground floor of the two-storey cottage there is a stylish lounge: fireplace, bar, tables with sitting and table football. 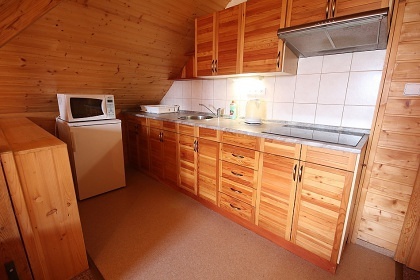 The floor consists of 2x 4-bedded room (double bed and 2x single bed, dining table, TV + SAT), in one of the rooms there is a fully equipped kitchenette (electric ceramic hob, microwave, fridge, kettle). 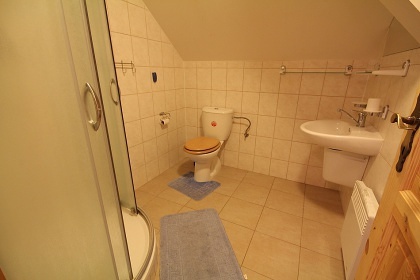 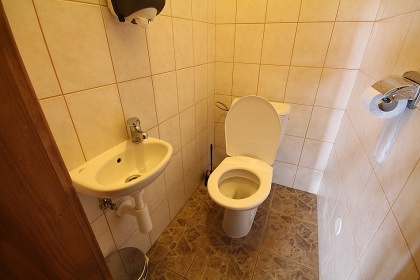 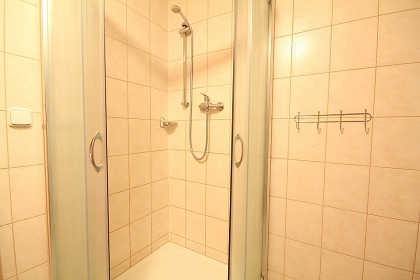 On the ground floor there is a bathroom with shower and 2 toilets. 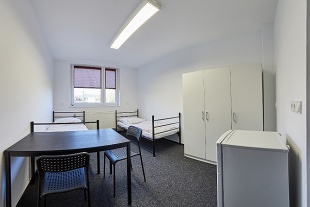 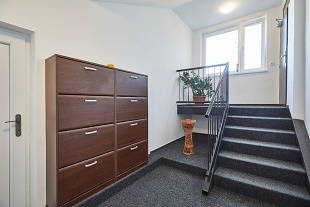 The heating is provided by fireplace stoves in the common room and central electricity. 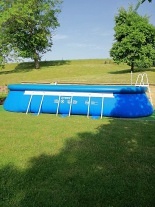 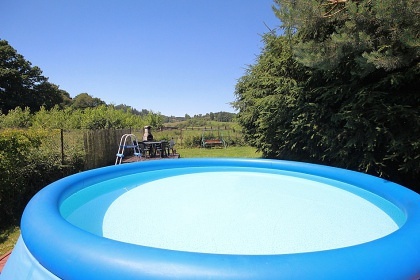 In the summer there is an inflatable circular pool (diameter 4.5 m, depth 1.1 m), covered veranda, terrace, garden furniture and outdoor fireplace. 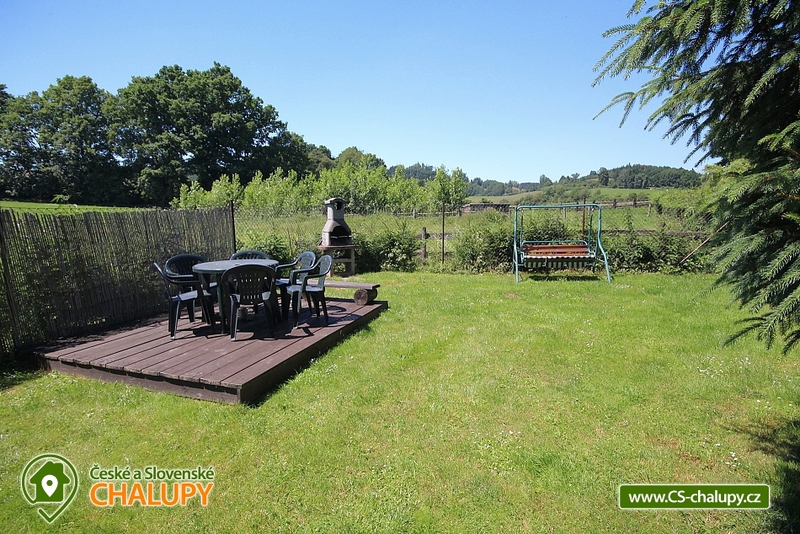 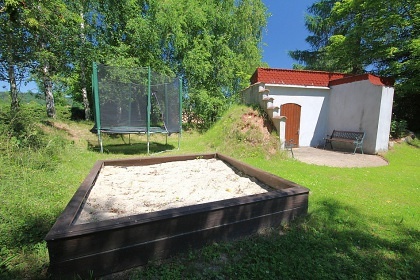 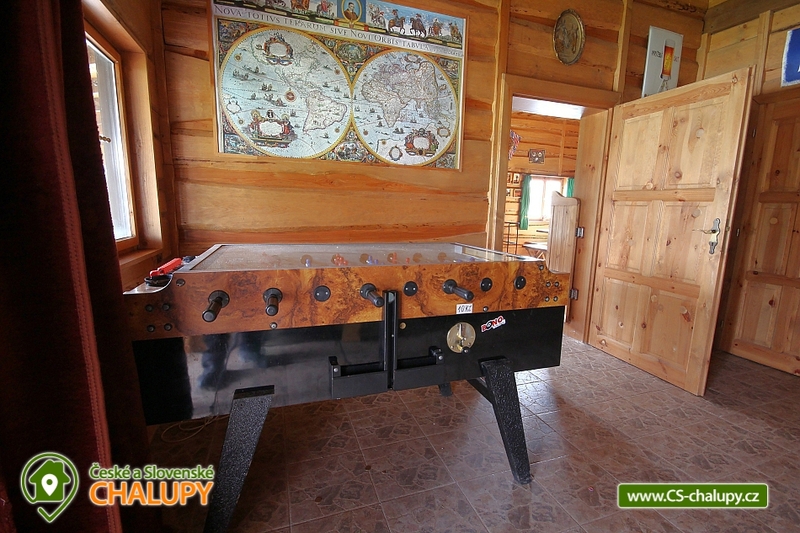 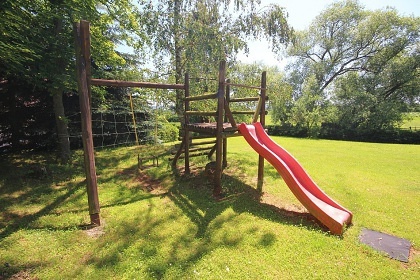 At the cottage there is a public multipurpose playground for ball games, a basket for basket, table tennis and for children: sandpit, jungle and trampoline. 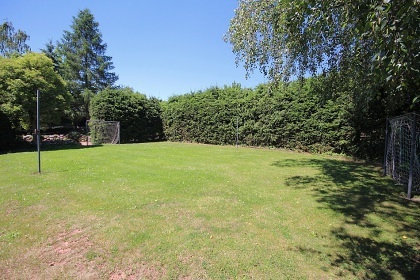 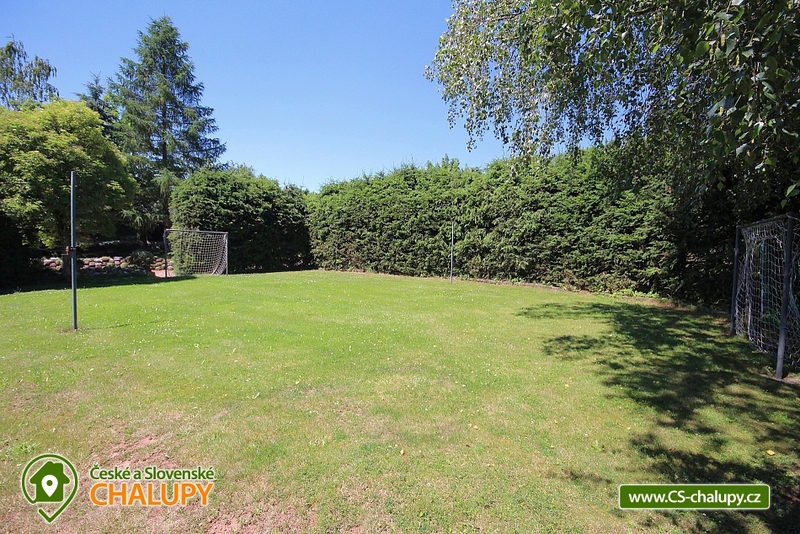 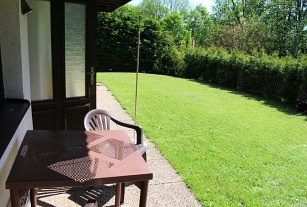 Parking is available right next to the property on the fenced plot.